After fully opening up Tibet to the outside world in 1980, China experimented with a more open-door, liberal policy in Tibet for a few years and it looked as if the Chinese Government would pursue a truly Tibet-Friendly Tibet policy, one that would meet most of the major demands and needs of the Tibetan people. However, after the major social unrests, starting in the mid and late 1980's, the hardliners in Beijing gained the upper-hand and ever since, the Chinese Government has been pursuing a very hardline policy in Tibet, one that is in place to this day and with even more intensification since 2008. In this commentary, I present some observations on the Chinese Government’s current Tibet policies, their consequences for Tibetans in Tibet, and the Tibet Question in general from a more objective and somewhat academic but mostly general and personal perspective. However, my observations are informed by having followed closely what has been going on in Tibet in the last 30 years or so and, in particular, having followed closely research and writings on Tibet that have been done during this period, particularly in the last 15 years or so, by (mostly Western and Chinese) social scientists on various development and policy issues, and by my academic training and interest in history, social conflicts, inter-ethnic relations, etc. Although Tibetans do have more religious and cultural freedom in Tibet today, compared to, e.g., during the Cultural Revolution, the Chinese Government is still pursuing some very repressive policies on the religious/cultural front, policies whose consequences are very bad and difficult for Tibetans. Three examples of such cases on the cultural front are: 1) "political education", which involves telling Tibetans what they should and should not believe in, and (not just criticizing but) insulting/demonizing the Dalai Lama, who is held in immense respect by most Tibetans both inside and outside Tibet; 2) not allowing Tibetans to own or display photos of the Dalai Lama, especially in monasteries; and 3) the attempt by the Chinese Government to institute mechanisms to control the reincarnation system, reincarnation of all prominent lamas but especially that of the Dalai Lama and the Panchen lama. It is hard to understand why the Chinese Government and its current leadership continues to pursue these repressive policies on the cultural front, policies that are, to Tibetans, surely a case of "adding insult to injury", and that are not only very difficult for Tibetans but, both in the short and long run, thoroughly counterproductive for the Chinese Government/China itself. In fact, such policies and political thinking are truly outmoded, non-progressive, and really an anomaly in the 21st century. If one looks around the world today, in much of the world, different ethnic, etc., groups adhering to different religious faiths and cultural traditions are totally free to worship whatever and whoever they want to worship in their lives, homes, temples, etc., and a Government does not dictate people who or what they should worship, what political views they should hold, etc. In fact, some Chinese scholars have convincingly made this point in their academic publications: that the Government should give different ethnic, etc., groups in China total cultural freedom to practice their own beliefs and practices and that this not only would not threaten national security but will result in better relations between the Government/the Chinese state and different ethnic/nationality groups within China, illustrating their points by citing the status of and religious/cultural freedom enjoyed by different ethnic and religious groups in other major modern nations around the world. In my view, it is a matter of time before the Chinese leadership will eventually realize this and allow different ethnic/nationality or religious groups freedom to practice freely according to their beliefs and practices. And if this is going to take place anyway, why postpone it? It will only mean more difficulties and sufferings for the various groups such as the Tibetans, and more discontent and hatred towards the Chinese Government. As such, such policies are counterproductive, unnecessary, and futile. A good example of the futility of suppressing cultural practices is the selection process for reincarnations of prominent Tibetan lamas (particularly the Dalai Lama and the Panchen Lama). The Chinese Government had indicated that it wants to control and approve their selections. This is an issue, on which, in the end, Tibetans always will have the "last say". For example, after the 14th Dalai Lama, the succession issue will surely become a very controversial issue, most likely even within the Tibetan community itself for various reasons, but particularly between Tibetans and the Chinese Government. What will likely happen is that the Chinese Government will select one and try to install him in power. Tibetans will select at least one (most likely in exile) as the true and legitimate one. Eventually, I think, when the different candidates come to maturity, whether Tibetans will eventually accept the Chinese Government selected one or the Tibetan selected one or even both will depend on their actions. If one, or both, are seen to be true champions of the Tibetan people by the vast majority of Tibetans both inside and outside Tibet and not seen as a mere puppet of the Chinese Government, he will gain legitimacy in the eyes of Tibetans and gain their respect. If he merely tows the official line and is seen as a mere puppet, then it will really not serve the Chinese Government's purposes either but will really become counterproductive. Let me give another example to highlight this point. When I was a little boy growing up in Tibet in the late 1950's, I remember Chinese Communist propaganda teams coming to my village, extolling the great deeds of the Communist party and Chairman Mao in particular, and handing out large color photos of Mao. I remember too the elders in the villages in the valley wondering and discussing what all this might mean and whether "this famous man called Mao" was the incarnation of a benevolent god (sangyekyi tulwa -reincarnation of a Buddisattova) or the reincarnation of the devil (dukyi tulwa). They would then agree that if it is the former, he will bring peace and happiness to Tibet, and if it is later, he would bring pain and suffering to the Tibetan people. Consequently, it is counterproductive for the Chinese Government to try to control, e.g., the reincarnation selection process and reincarnate lamas. It is an issue that is culturally near and dear to Tibetans and the Government's interference in this process would be seen as trampling on their cultural practices and rights, and only harms relations between the Tibetan people and the Chinese Government. And the same applies to all other Tibetan religious and cultural practices. If Chinese leaders allow Tibetans to practice their own religious, linguistic and cultural practices, then Chinese leaders who implement such progressive policies will be viewed as Tibet/Tibetan-friendly and will gain the respect of the Tibetan people and will likely contribute greatly towards improving relations between Tibetans and the Chinese Government. Although China has diverted large sums of subsidies to Tibet/Tibetan areas, studies by various social scientists show that modernization and development in the fields of economics, education, and modern healthcare in Tibetan areas are poor and lag far behind China itself, particularly in rural and nomadic areas (where some 80% of Tibetans live). All this in spite of the special “push” to develop Tibetan areas in the 1990’s and especially after 2008 as a means to combat Tibetan discontent, and as a strategy to resolve “China’s Tibetan problem”. Even more importantly, studies also show (and the general observer can also see) that the massive infusions of subsidies from the Chinese Government not only did not have corresponding massive benefits for Tibetans everywhere, even and especially in urban areas, because most Tibetans, especially most of those coming from rural and nomadic areas, lack necessary educational and technical skills, etc. All this has profound negative implications for Tibetans in Tibet on many fronts. On the economic development front, since the majority of Tibetans are in rural and nomadic areas and since development in these areas is taking place at a lot slower and non-substantial pace and since Tibetans in these areas as well as most of the Tibetans in urban areas are less educated, have less access to various modernization forces (access to capital, skills, connections, etc. ), as I had observed in my 1999 paper , today: 1) a new stratification systems is emerging, especially in urban areas, in which most Tibetans are ending up at the bottom; and 2) very derogatory images of Tibetans have developed among Chinese (officials, ordinary people and even some scholars - more on this later). This is bound to intensify with the Government’s push (and the general trend) to marketise and privatize the economy and the rapid development of the tourist industry, etc., in all Tibetan areas. For various reasons, this will be a huge problem for both Tibetans and the Chinese Government as there will be greater and greater inequality and socio-economic polarization between Tibetans and Han (and other ethnic members) in Tibetan areas. As Andrew Fischer’s excellent works have demonstrated, e.g. and especially, Tibetans as a whole have not benefitted much from the Central Government’s economic development policies in Tibet since much of the expenditure had been channeled to infrastructure and in industries where Tibetans have very little chance of success for competing with non-Tibetans because of lack of sufficient modern education, training in practical skills, etc., and due to the overall lack of locally suitable efforts on the part of the Government to uplift the economic and educational standards of Tibetans in rural and nomadic areas. Development that is taking place in the urban areas is being dominated by non-Tibetans who are better educated, have specialized/better skills to engage in various businesses, access to capital, etc., Additionally, much of profits from major businesses go back to China or elsewhere. Judging from the transformations (or what one might even say “evolution”) of modern societies, I believe China too will have gone through major transformations on three fronts: 1) on the economic front; 2) on the cultural freedom front; and 3) on the political liberalization and democratization front. On the economic front , as everyone knows, China has already embraced the modern market/capitalist economic system, which has led to unprecedented and rapid modernization of the Chinese economy and society in general, including popular culture on all fronts in a matter of just a few decades.. On the cultural front, specifically religious belief and practice and also language preservation matters, “liberalization” will most likely take place eventually, perhaps even soon, possibly even while the CCP is still in power. That is, the CCP/the Government will no longer try to control any aspects of individual and group freedom to believe in any religious faith and people of different faiths/cultural traditions will be free to believe in and practice whatever they choose to. The third and last stage (the political front) will be the adoption of a truly democratic political system. For various reasons, this will most likely be the last step that will take place in China in the transformation of Chinese society into a truly democratic and modern society, although it might be a long while (or perhaps as short as within a couple of decades) before this takes place. However, while the third stage is probably difficult to achieve easily and soon, and the first stage has already been achieved, the second stage can be achieved any time if a new leadership of the Communist party chooses to do so. It merely requires pulling back of the repressive policies on the cultural front, such as the ones that have been carried out and are still being carried out in Tibetan areas today, particularly in Eastern Tibet. And if this 2nd stage is going to happen anyway eventually, why not make it happen NOW? Why inflict unnecessary pain and suffering on the Tibetan people (or peoples of any faith within China), as long as they do no real harm to others (or the Chinese Government)? In Tibet, however, while the first stage of transformation is taking place at some level and the second stage of transformation is most likely to take place definitely eventually, if not soon, for various reasons, the 3rd step will most likely be more problematic in Tibetan areas even in a fully democratized modern China. The Tibet Question (or China’s “Tibet problem”) is not simply an ethnic problem, a civil rights problem, or a question of whether or not there is substantial economic and educational development for Tibetans, or an environmental issue, or even the status of the Dalai Lama (although these are indeed important issues in themselves). The crux of the Tibet issue is POLITICAL. It is about TIBETAN RIGHTS to have a major say on all matters related to their ancestral lands. Tibet has been the homeland of solely Tibetans for centuries so Tibetans rightly feel they have the right to demand greater political rights to determine their future in all traditionally Tibetan inhabited areas (what are today known as “The Tibet Autonomous Region” (TAR) – mostly all of Central and Western Tibet, and “Autonomous Prefectures” in Eastern Tibet). Tibetans lack major political power and rights in their own homeland, which has led to greater Tibetan discontent and which is surely to become worse if the Chinese Government continues to pursue its hardline policies in all the cultural and political fronts. Only a truly culturally and POLITICALLY sensitive Tibet policy by the Chinese Government will lead to a mutually respectful and satisfactory solution to the Tibet issue. The real issue is: how much REAL autonomy the Chinese Government will be willing to give the Tibetan people? Contrary to what has been going on for the past two decades or so in particular, and continuing today, will China allow the Tibetan people power to determine their future in regards to real political power (say, for example, in restricting non-Tibetan ethnic migration to traditionally Tibetan lands in the future), education, cultural preservation, etc. If it continues its current policies or even intensifies them in the same directions, the “Tibet problem”, or the “Tibet Issue” or “China’s Tibet Problem”, or whatever it may be called, will not only remain but will likely worsen in the coming decades and centuries to come, although things might fluctuate one way or the other from time to time. Precisely because the Chinese Government does not want to address the real issues, it continues to engage in the same old propaganda as justification for its total forced annexation of Tibet to China and its policies in Tibet such as: 1) China “liberated” Tibetans from the old Tibetan system; 2) brought economic and social development to Tibet; and 3) that what Tibetans are really seeking is independence only even thought that is not the stated goal of, e.g., the exile political leadership. And the Government continues to spew out a host of abusive language at all Tibetans who demand rights for Tibetans as “Tibetan separatists” (or “splittists”). While all such propaganda seem mostly so crude, untruthful, etc., it is actually a smart strategy at some level. It serves as a smokescreen and camouflage for avoiding the real issues. While no one gets fooled by such propaganda, it shifts the focus and allows the Chinese Government to avoid addressing the real issues. However, although such propaganda strategy manages to allow the Chinese Government to avoid addressing the real issues, precisely because the real issues are not addressed, such strategy is ultimately counterproductive. Tibetan society, like all societies even today, has, and will continue to have, tension and conflict between traditionalism and modernity. This is something Tibetans themselves need to sort out, compromise and navigate between those who are more pro-traditionalism and those who are more pro-modernity and modernization. This I believe is also a very important issue for Tibetans so I would like to add some further thoughts here regarding this, mainly addressed to Tibetans. In the struggle for Tibetan rights within Tibet/China, the emphasis has been on cultural preservation and freedom and on human rights issues mainly. While these are obviously some of the key issues of highest priorities, it is equally important to try to understand what is going on exactly in the economic and educational fronts as well as general modernization of Tibet and make these also top priorities in addressing the Chinese Government’s policies in Tibet. For Tibetans in Tibet, to compete with non-Tibetans and do well on all fronts, it is important to march with the rest of the world and become thoroughly modernized in all economic, political, educational, and socio-cultural fronts (while, of course, maintaining and respecting certain key aspects of traditional culture). Looking back at recent Tibetan history (prior to China’s total forced incorporation of Tibet to China in 1950), precisely because Tibet failed to march with the rest of the world and become modernized on all fronts, Tibet became such “easy pickings” for China. But that is only history now. What is important is today and the future. If the emphasis is placed solely on cultural preservation mainly, these other areas will not receive the needed attention. If Tibetans push for preservation of Tibetan culture only in Tibet and neglect modernization also on all fronts, many younger and future generations of Tibetans in Tibet could likely face similar situations as, say, American Indians in the U.S. Within the United States, American Indian reservations (now generally referred to as “Nations”, such as “Navaho Nation”, not only by the Indians themselves but the general American public) had and have a great deal of independence as to what they wish to do in their lands as legal rights as stipulated in treaties signed between the various American Indian tribes and the United States Government many years ago which are upheld to this day. Within the reservations, until a few decades ago, the emphasis had been on preservation of traditional Indian culture only - religion, language, general way of life, and NOT on modernization. As a result, conditions in the reservations fell far behind the rest of the United States and the reservations became poverty-ridden, afflicted with appalling economic and living conditions, and each generation of younger generation Indians remained uneducated, unmotivated, unemployable, etc., and alcoholism, disease, unemployment and poverty became rampant among the younger generations who had little to hope for within the reservations and even less so outside the reservations in general American society as they lacked adequate modern education (at least good grasp of English, general education). Tibetans should try to make sure that similar fates will not be fallen on many younger generations of Tibetans in rural and nomadic areas in Tibet where the vast majority of Tibetans live and in urban areas as well where most Tibetans are ending up at the bottom of society. There are Tibetans within the more conservative section of Tibetan society (at least in exile) who feel and say things like “young Tibetans should not get too much modern/Western education because then they will lose their/our culture” (or something along these lines). That is true in certain respects but if one looks around the modernized world, that is inevitable as far as belief in certain traditional beliefs and practices are concerned but that does not mean they will completely reject traditional Tibetan culture or lose their “Tibetan-ness”. Those Tibetans who feel this way can learn a great deal simply by looking at a country/society such as, e.g. and especially, Japan and the Japanese, a largely Buddhist/Shinto society in general. Japanese society was extremely traditional but faced with dominance by European powers (which had already reaped the benefits of Western/modern science), it chose to become Westernized/modernized, especially after World War II, and the rest is history as the saying goes. Today, Japan is thoroughly Westernized/modernized in every aspect of life (adoption of science and technology, social and behavioral sciences, modern medicine, market/capitalist economic system, democratic political system, and popular culture, including, e.g., modes of dressing except within the monastic sector and for ceremonial purposes). What makes Japanese Japanese and to have a strong sense of being fellow Japanese, today, is not what they wear, what they learn in school, what they study, what they believe in, etc., but that they all belong to a particular space and place on this earth and that they have a shared history as a people belonging to that land. Japanese society and Japanese, thus, should be a great example for Tibetans. In short, there is tremendous need for rapid and greater modernization and development for Tibetans in Tibet in the areas of economics, modern education, specialized skills, modern medicine and healthcare, etc. This is important not just for political reasons (both for Tibet/Tibetans as well as the Chinese Government/China itself). If one were to do a survey of their wants and wishes in the lay sector, this is what the vast majority Tibetans in all agricultural, nomadic, and urban areas would say is what they want and need, so that such development and modernization would be merely facilitating what Tibetans want and need and not imposed from above or from outside. Modernization and development are, thus, also very important and urgent issues for Tibetans in Tibet. As a result of the ongoing hardline policies (cultural and political repression, forced “political education”, etc. ), Tibetans in Tibet feel very disempowered, disenfranchised, and marginalized and feel a great deal of resentment and discontent, which does not bode well for Tibetan-Chinese/Chinese Government relations on various fronts. The Government’s repressive policies on the cultural and political fronts seem to have, at least in some respects, stemmed from perceptions among many (especially political leaders but even some scholars) that Tibetans are “backward”, superstitious, incapable of learning and adapting to modern ways of doing things, etc. Ethnic prejudice is thus clearly very prevalent in Tibet/China today. During the age of imperialism in the 19th and early 20th centuries around the world, imperial/colonial rulers believed in the “inferior qualities” of natives and used ethnic prejudice/racism as the rationalization for their conquests and governance as well as as justification for inferior and unjust treatment of the natives. One wonders whether the treatment of Tibetans by Chinese political leaders (forced “political education”, cultural repression, etc.) are based on such premises! The prevalence of ethnic prejudice against Tibetans in Tibet is also a very important issue as it is derived from and it leads to faulty assumptions and it influences Government and development policies. Andrew Fischer briefly addressed this issue in his paper  and as he cites in this paper, at least another Tibet specialist social scientist, Emily Yeh, who has also done very important academic research in Tibet, has dealt with this issue in her works. She shows the prevalence of derogatory Han (and even Tibetans’ own) perceptions of Tibetans and their work ethics, etc. and the reasons thereof as perceived by Han as well as Tibetans themselves. Further, Andrew Fischer indicates in the same paper that these kinds of ethnic prejudice against Tibetans (by even some Chinese scholars) may have their roots in certain Communist theoretical suppositions concerning the development of societies. Aside from this possible genesis of ethnic prejudice among Chinese against Tibetans, as I had briefly stated in my 1999 paper,  it is a general fact that in situations where two ethnically, etc., different groups are involved, the members of the dominant group develop negative, derogatory and sometimes even thoroughly racist, views of the disadvantaged group. Those of the advantaged/dominant group often attribute their own dominant/better status to their own group’s members as being more intelligent, capable, etc., and that of the disadvantaged groups status being attributed to their supposedly lack of intelligence, etc. Often, even members of the disadvantaged group themselves do the same: i.e., they attribute their own disadvantaged status to their own members’ inferior intelligence and vice versa. However, such views can change within a generation or even within just a few years in accordance with dramatic and sudden changes in the economic and socio-political spheres, e.g., through the introduction of and participation in a market economy and the introduction or emergence of certain industries and the availability of skills and means needed for participation in these. In the lay sector in Tibet, for example, seeming lack of motivation to become modernized by not engaging in, e.g., entrepreneurial activities and such may seem like they are due to cultural/religious factors. On the surface, they may appear to be so but ultimately, they are not. Rather, they are due to lack of opportunities to get information, education, and skills needed to engage in entrepreneurial activities and the proper economic opportunities to do so (e.g., for better and new production and marketing methods and creation or development of proper opportunities for such). Religious and cultural factors, ultimately, have little or nothing to do with that. I can give various examples of this from Tibetan exile society based on “lived experience” within the exile Tibetan communities in the 1960’s and 1970’s, and especially from my academic fieldwork in the Kathmandu Valley in 1980 but I will give just one very brief, condensed, account of changing perceptions of as well as actual work ethics and work habits of exile Tibetans in the Kathmandu Vallley. In Nepal, in the early 1960s, with the help of international aid organizations, Tibetan carpet factories were established in refugee settlements as the main source of income for the refugees. The settlers received minimal wages for their work which made them self-supporting in earning their basic livelihoods although most of them were very poor and did not have much other sources of income to better themselves at that time. At the time, it was said that those settlers were “lazy”, not interested in improving their lives, and when not working at the factories in the mornings, evenings and holidays, it was said they did nothing but “sit and horse around all day, doing nothing much but picking off lice from each other’s heads”. All this changed rather suddenly starting in the early 1970s due to a host of factors including dramatic rise in tourism in Nepal at the time and demand for Tibetan carpets both internationally and in the local tourist market, the rapid development of independent private carpet production and sale, and greater/great demand for labor in all aspects of carpet production and sale. Now the settlers had plenty of opportunities to earn extra income by engaging in private carpet production (all aspects such as carpet weaving, wool sorting and spinning, dyeing, scissor work, etc.) and most did – mornings, evenings, and holidays while they worked at the factory during weekdays. Now it was said “those people” (the settlers) are so busy “they don’t even stop and talk to you when you run into them on the roads”. And it was said that everyone involved in the carpet industry (well-off independent carpet producers and marketers as well as carpet weavers, etc.) were intensely competitive (competition both in terms of access to work, wealth accumulation, education for children, etc., etc., as well as in terms of “keeping up with the Jones”, i.e., competition for social recognition, etc., among families, etc.). Similarly, I would argue that in Tibet many Tibetans who are not able to compete with Chinese in entrepreneurial activities may appear “lazy”, “superstitious”, unmotivated, etc., on the surface but given the right training, skills, education, and the opportunities, most will rise to the occasion and do as well as any other ethnic group. Ultimately, what really drives most Tibetans, at least in the lay sector, are the same as people everywhere. People (of all ethnic groups), given the same conditions, are very practical and will adapt to any changing conditions. Of course, religious and traditional beliefs can play important secondary roles in keeping people from accepting change (e.g., as “informal social control mechanisms” within Tibetan society) but I would argue that these usually get coopted by the primary factors (right information, education, skills, economic opportunities, political conditions). Thus, the kind information I have provided in my very brief and sketchy example above from my fieldwork in the Kathmandu Valley, and especially the attention they have drawn to this issue (ethnic prejudice and its policy implications) by scholars such as Andrew Fischer and Emily Yeh in their academic work should be important critiques for careful consideration by Chinese policy makers, political leaders, as well as important topics of discussions for Chinese scholars who are Tibet specialists, especially in the development studies fields. It is no doubt also an important issue that deserves close and objective consideration in formulating and implementing development policies and programs in Tibetan areas. Around 1991, I thought through carefully and started to write a very short commentary article, meant for publication in the Tibetan Review titled “The Anatomy of Sino-Tibetan Dialogue: Some Personal Observations”. I finished a rough draft of the first 2 thirds or so of the paper but then upon even more careful thinking, decided not to publish it since there was much talk (and hope, on the Tibetan side), of impending “dialogue” taking place at that time. The main point of the article was to argue that Tibetans in exile place too much hope on thinking that China would truly “negotiate” a settlement on the Tibet Question with the exile leadership, even along the lines of the Middle Way framework proposed by the Dalai Lama in the 1980’s and later This might have been possible in the 1980s when Deng Xiaoping was in power and had said something along “everything is on the table except independence”. But with the hardliners gaining the upper hand in the Government’s approach to Tibet, one could see that there was no way the Chinese Government was seriously going to entertain having REAL negotiations with the exile leadership. And as it turned out, that is what happened (no real negotiations ever took place; the Chinese side always made the same old statements after each “talk” or rather meeting). For the near or even distant future also, as long as the hardliners are in power, the prospects for major policy changes - let alone truly negotiate with the exile leadership – does not look good and it is important, I think, for the Tibetan leadership to keep this in mind. This, of course, does not mean that the exile Tibetan leadership should not push for negotiations for, if nothing else, it would at least help put the spotlight on the Tibet issue, something the Chinese side also seem to have felt beneficial (they always said something along:“We are ready to talk but their demands are unreasonable.”), even if they had absolutely no intention of actually engaging in real negotiations. If the Chinese Government changes its course and decides to pursue a lot more Tibet-friendly Tibet policies, it will most likely do so unilaterally. One main reason, e.g., why the Chinese Government would make any major positive policies changes, if any, unilaterally rather than through negotiations with the exile leadership, is that it would not want to give “legitimacy” to the exile leadership unless it absolutely has to, a situation which is not likely to happen anytime soon, if ever. For Tibetans in Tibet, it does not matter whether any major Chinese Government policy changes take place either with formal negotiations or unilaterally by the Chinese Government. What is important is that there be major changes to address Tibetan Rights and grievances and in this, external pressure from the exile leadership and Tibetan supporters could, of course, certainly continue to play an critical role in how China carries out its policies in Tibet. According to published reports, there has been over 120 self-immolations in the past few years to protest China’s harsh policies in Tibet. One must ask “What type of conditions would drive human beings to such extreme measures?” The immediate roots of the self-immolations are clearly China’s hardline policies in Tibetan areas in general but particularly its new resettlement programs and culturally and politically repressive policies in Tibet in general and particularly in Eastern Tibet. While the self-immolations have not resulted in any consolatory policy shifts thus far, even minor but politically and culturally sensitive ones from the Chinese Government, what they have shown is that Tibetans feel so disempowered and disenfranchised that they feel compelled (and are willing) to lay down their lives for their rights. One would hope (for the sake of everyone) that the Tibetan struggle will remain non-violent (the self-immolations are in this category since they do no violence to others or even property). 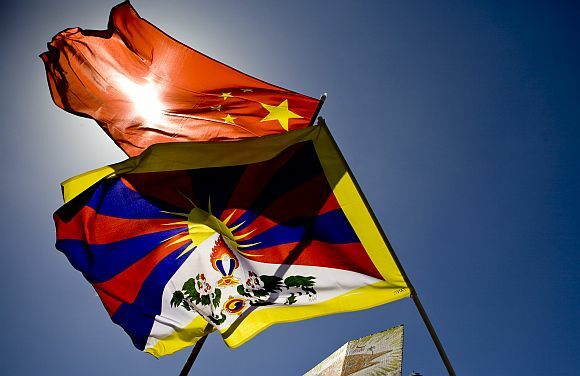 There is enormous likelihood that the Tibetan struggle will eventually turn violent if the Chinese Government does not address the Tibet Question in what Tibetans feel is a fair and just policy and it will be a huge problem for both sides once things start going in that direction. I do not mean to imply that this could necessarily happen any time soon but one needs to take a very long-term view of the situation in Tibetan areas. Therefore, to sum up, I would argue – not necessarily as a Tibetan but as a fairly impartial and objective observer – that it will not only be in the interest of the people of Tibet but also in the interest of China itself if the Chinese Government reverses its current hardline policies and adopts and implements just, fair, and overall Tibet-Friendly Tibet policies on all the cultural, socio-economic, and political fronts so that Tibetans in all the Tibetan areas have cultural freedom, become the main beneficiaries of economic development, and all Tibetan areas remain predominantly ethnically homogenous Tibetan homelands. As such, if not the current leadership, then perhaps a new generation of progressive, forward thinking, and truly wise and empathetic leaders will emerge in China who will formulate and implement such policies in the coming decades and beyond. It remains to be seen, of course, whether that will happen any time soon or even in the distant future. For readers who are not familiar with my background, I am a Tibetan social scientist by training (B.A. in Sociology, MA/Ph.D. in Social Anthropology) and I engage in part-time independent research and writing. During my undergraduate and graduate years, I spent many years studying theories of – among other things, “modernization,” “socio-cultural change,” “social conflict,” “development,” inter- and intra-ethnic relations, etc., in the social sciences, specifically in Sociology and Social Anthropology. I also follow closely research being done in/on Tibet by Western and Chinese social scientists (and now a few young Tibetan social scientists as well), such as the ones by Andrew Fischer, who has published many excellent and important academic works on economic development and policy issues in Tibet. A Tibetan saying quoted in (front matter of) “A Tibetan Revolutionary:…” by Melvyn C. Goldstein, 2004. I had never heard this before myself but it certainly sounds like a very apt saying. The transliteration of the Tibetan version for this paper is based on a rough phonetic rendering and not on any formal systematic transliteration system. Gombo, Ugen. “Why China Should Adopt a Truly Tibet-Friendly Tibet Policy,” Tibetan Review, Vol. 34, No.9, 1999. If and when the stalled “negotiations” ever get resumed, it will most likely be very difficult to have agreements on substantive and important matters (except perhaps on the cultural front) even if serious talks truly commence, but perhaps, as a show of good will on both sides, agreements may be made to allow qualified Tibetan professionals in exile who wish to do so, to serve directly and individually or through NGOs in various capacities in the development field. There are a few who are already doing this independently but if a major push is made for this and becomes official, this could become an important factor and force for development in Tibet. Of course, if such programs get developed, they and those who engage in such activities, of necessity, should refrain from getting involved directly in any political activities. I am not citing names of Chinese scholars and their academic works in this paper whose works I am referring to here because: 1) this paper is more of a personal commentary and not a full academic critique; and 2) to do a full academic critique will require much more thorough and in-depth studies of their works and related works and should be done properly in academic publications. Fischer, Andrew. “The Revenge of Fiscal Maoism in China’s Tibet”, republished on the Tibetan Political Review on July 31, 2012. I am working on a much updated version of a paper on this subject (work ethics, religious ethics, inter-ethnic and intra-ethnic self and others perceptions of each other, etc., in Tibetan society) which I worked on and presented at an academic conference many years ago. The tentative new title for the updated version is “On Market Economic Development and Underdevelopment and the ‘Spirit of Capitalism’ in Tibetan Society: A Critical Application of Weber’s Theory and Concepts to the Tibetan Case.” It is a comparative study of the subject in pre-1959 Tibet, among Tibetans in exile in the Kathmandu Valley in the early 1980’s, and in Tibet today, and I hope to get it published eventually.